Lloyd Axel, born June 27, 1905, was bit by the racing bug when he drove an old Rajo Ford at Ord, Neb., substituting for a sick friend in 1926. Axel hooked up with the winner of that Ord fair race, Vic Felt of Deertrail, Colorado, and raced Felt’s ‘big cars’ throughout the Rocky Mountain states for the next seven years. They were regulars at the Overland Park mile track in Denver during the late 1920s and early ‘30s. In 1931, Axel and Felt went to California and raced at the Legion Ascot Speedway in the first night race there. Vic drove a Fronty while Lloyd drove Felt’s Gallivan. Lloyd also drove Walt Killinger’s 220 Miller number 8 machine, which was built by Myron Stevens, to wins at Danbury, Conn, Trenton, N.J. Milwaukee, Wis. and Phoenix, Arizona, as well as numerous Colorado races. 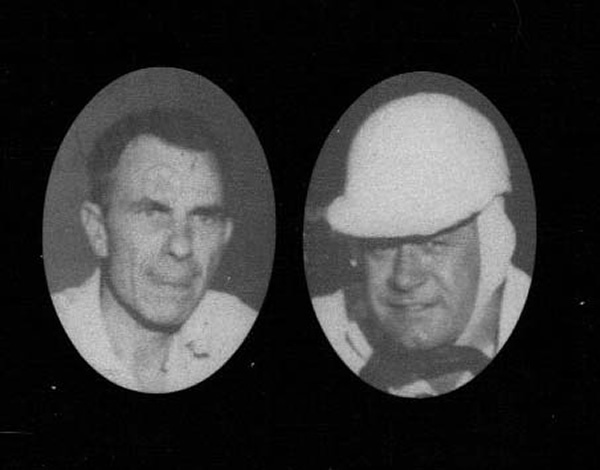 Their competitors included Johnny Hannon, Bob Sall, Rex Mays, Chet Gardner and Ernie Triplett. In 1937-38, Axel drove Felt’s Hisso-powered Oscar Norberg Machine Shop number 35 machine throughout the Midwest, including at Winchester, Indiana, where he set a new record of 22.1 seconds on the high-banked half-mile oval. During these years, Axel competed regularly against Gus Schrader, Emory Collins, Buddy Callaway, Everett Saylor, Duke Dinsmore, Morris Musick, Paul Russo, Jimmy Wilburn and Cotton Grable on the Central States Racing Association and International Motor Contest Association circuits. When he wasn’t driving the ‘big cars’, Axel was wheeling the popular midgets in the Denver area starting in 1937. He even became president of the newly-formed Rocky Mountain Midget Racing Association in 1940-42. He was also the club’s champion the first two years (1940 and 1941). 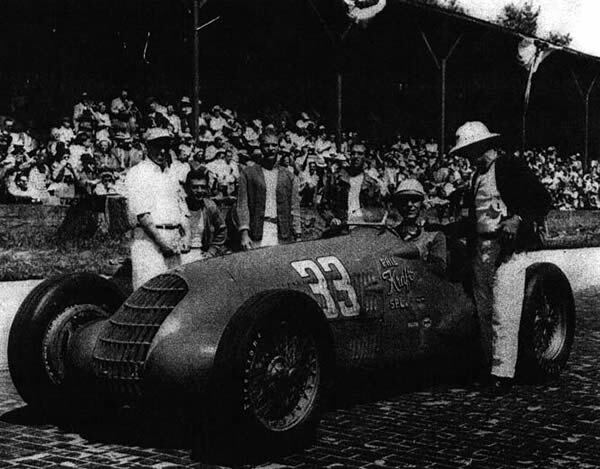 Axel raced all through the 1930s and 1940s on dirt and pavement, finally retiring after the 1955 racing season. The driver of ‘big cars’, track roadsters, midgets and Pikes Peak Hill Climb cars continued to wrench on race cars for another decade though. 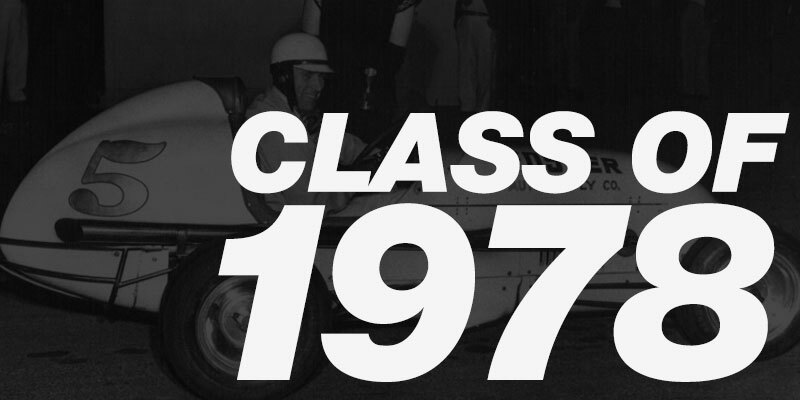 In fact, in 1965, Axel was wrenching on an Offy sprint car for owner Bud Shirson when the driver was forced to miss a race at Greeley, Colo., due to a conflicting super-modified race. Axel got in the sprinter at Greeley, after 10 years off, and proceeded to scorch the half-mile dirt oval. During his legendary career, Axel won over 200 feature wins. Axel died in 1971. Bill Kenz and Roy Leslie fielded top midget race car teams in Colorado for many years. During that time they won multiple Rocky Mountain Midget Racing Association championships. 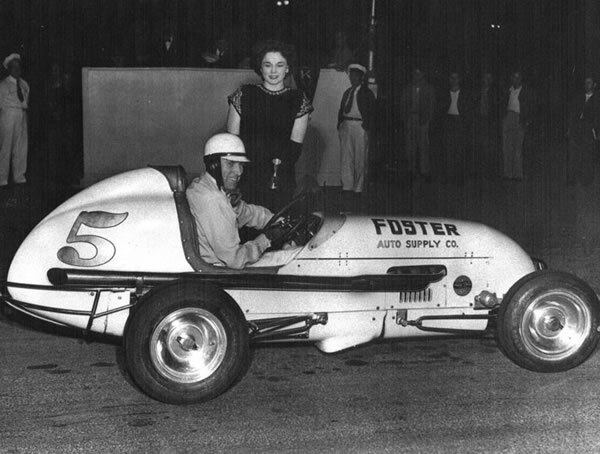 Their V-8 60 Ford-powered midget was considered one of the best in the country. As a driver, Leslie won two RMMRA Championships. Kenz was nationally known as a Ford V-8 engine expert. The team’s twin engine streamliner held the U.S land speed record until 1960, and was the fourth fastest car in the world in 1957. The duo later turned to drag racing with top cars in both the top fuel and funny car categories. Johnny Mauro was Colorado’s first born and raised driver to qualify for the Indianapolis 500. He accomplished that feat in 1947 driving an Alfa Romeo he purchased just days before the event and ended up finishing 8th. Two of Johnny’s cars that he competed with at the speedway, reside in the hallowed displays of the Indianapolis Motor Speedway Museum. Some of Johnny’s other achievements in racing, included driving in a total of 14 Pikes Peak Hill Climbs, coming very close to winning that event several times. He also competed in and won the first compact car endurance race staged in the United States. That was a 6 hour event held at Colorado’s Continental Divide Raceways in 1959. As it turned out, that race was the forerunner to what eventually became, after several years and many twists and turns to the SCCA rule books, the wildly popular Trans-Am road race series of the ‘60’s and early ‘70’s. Louis J. 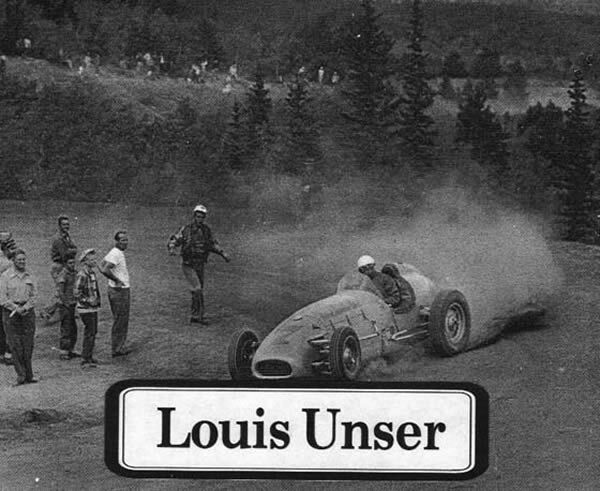 “Louie” Unser, was the second of the four Unser brothers from Albuquerque who dominated Indianapolis, Pikes Peak Hill Climb and countless tracks in between. The younger twin brother of Jerry and older brother of Bobby and Al, Louie won the stock car class at the Pikes Peak Hill Climb in 1960 and 1961. But while his siblings earned their fame and fortune as racing drivers, Louie’s greatest talents lay in tuning racecars instead. He served as the chief mechanic on Jerry and Al’s rookie Indianapolis 500 appearances in 1958 and 1965 respectively, and he earned “Mechanic of the Year” honors for his efforts in securing Jerry’s United States Auto Club stock car championship in 1957. In the early 1960’s Louie served as an engine builder, machinist, mechanic, crew chief, and/or crewman for legendary team owners such as Carroll Shelby and Bill Stroppe. Despite being diagnosed with MS in 1964 and becoming increasingly wheelchair-bound in his later years, he remained active in his renowned engine shop in Fullerton, CA, where he built race-winning motors for Bobby, Mario Andretti, and many others over the next three and a half decades. The longtime resident of Anaheim worked tirelessly on behalf of MS research and fundraising, being named MS “Father of the Year” in 1982 for his efforts. He passed away 2004.